Today I have a FREE Silhouette .studio file to share with you all. That means it is only Silhouette machine compatible. Sorry don't have an SVG for it! But, if you like... watch my video HERE as I explain how to I created it and you may be able to do something similar as well. 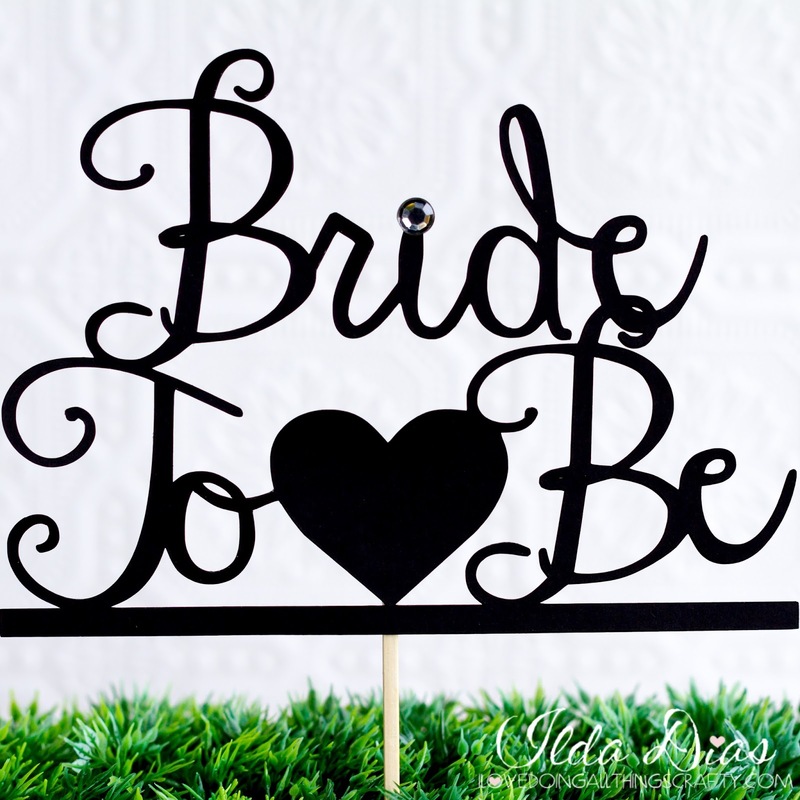 As you can see this is for a Bride To Be Wedding Shower Cake topper that I recently made for some one and since I know how expensive these events can get, I thought I would share it with all the DIYers out there for FREE! is to read and follow my free files RULES! Make sure you avoid using sparklers or candles nearby as it is paper and totally flammable! If you are using this on top of buttercream icing (or any other moist type icing) insert the topper just before revealing the cake as paper can absorb any grease that the icing may contain, or just have it barely touch the top of the cake. I have used these toppers on fondant covered cakes, and there has been no grease transfer. If you create one of these Cake toppers I would love to see how they look on your cake. Always fun to see what you do with them!